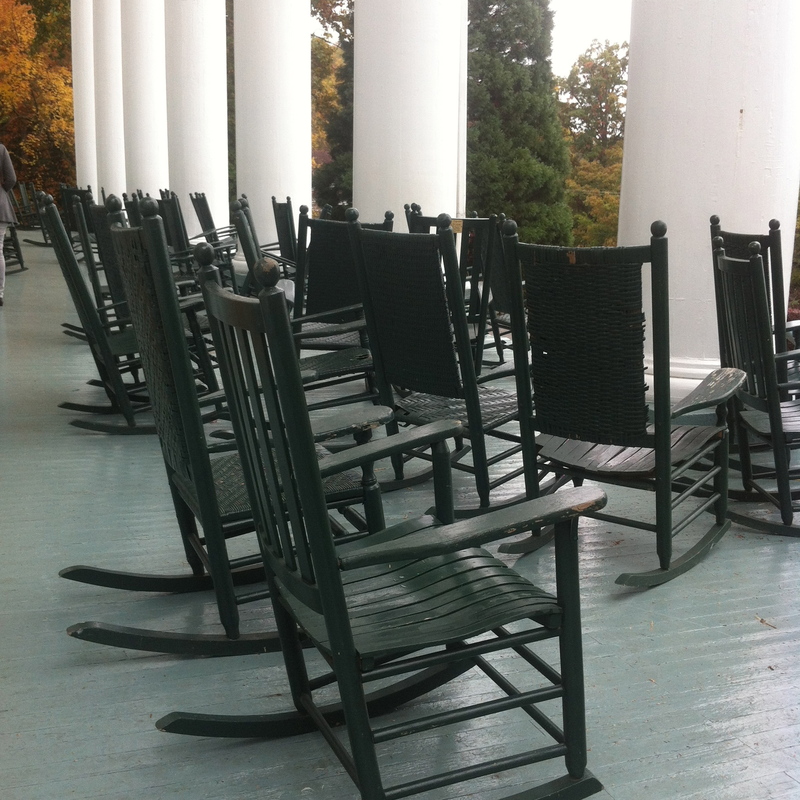 Rocking Chairs on the porch of the Blue Ridge Lee Hall of Black Mountain College near Asheville, North Carolina. Rocking Chairs on the porch of the Blue Ridge Lee Hall of Black Mountain College near Asheville, North Carolina. Photo: Matilda Felix, 2014.